I had refrained from oysters because I had oyster poisoning at the end of last year. 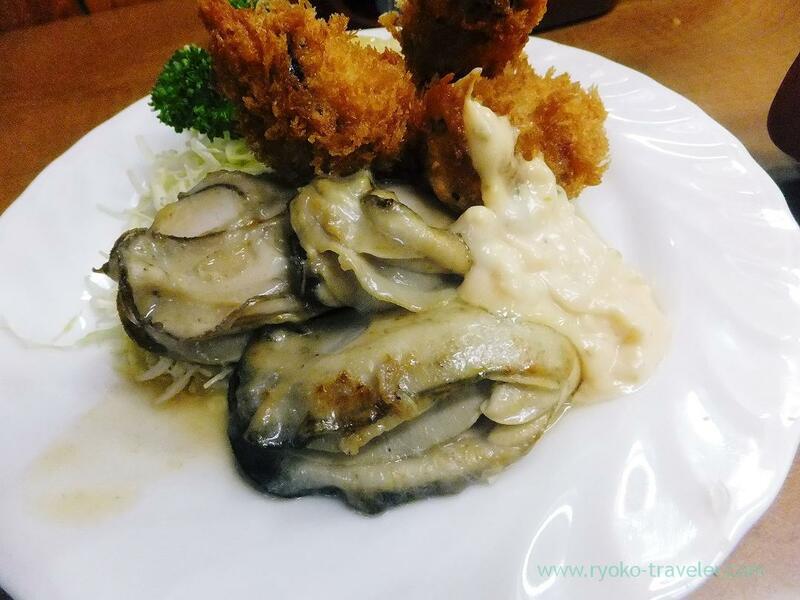 But Spring never come to me without eating Kaki-mix (Deep fried oysters and fried oysters with butter set) at Odayasu ! So, finally I started eating oysters again ! Odayasu after a long long interval. But there were many names of foods on the wall in the shop and I was interested in some foods. But my eyes met the waitress’s eyes. Today, Odayasu was fully packed, so it took more time to be served than usual. I know the reason of the crowds. Another deep fried foods shop next to Odayasu was featured by a popular TV show and they had much people waiting from early in the morning. 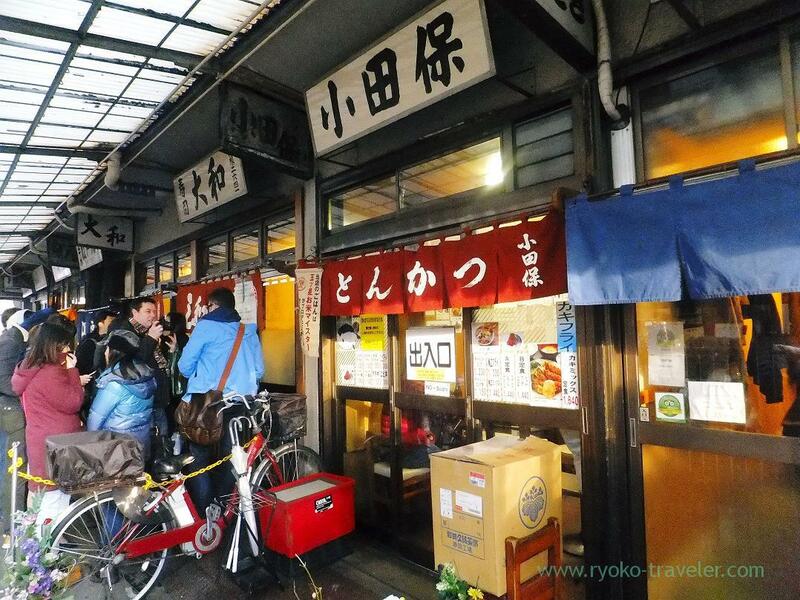 So, regular customers of Tsukiji Market gathered Odayasu. 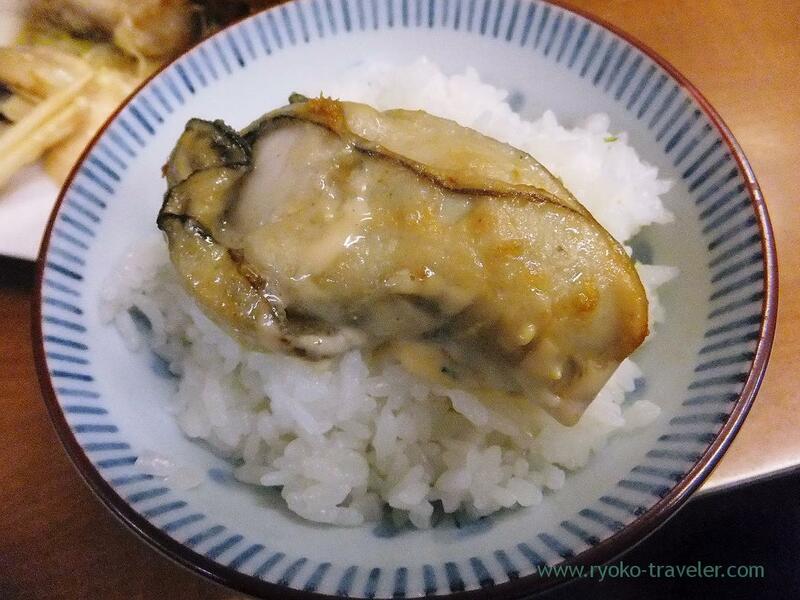 I think Odayasu is better than Yachiyo except deep fried horse mackerel. 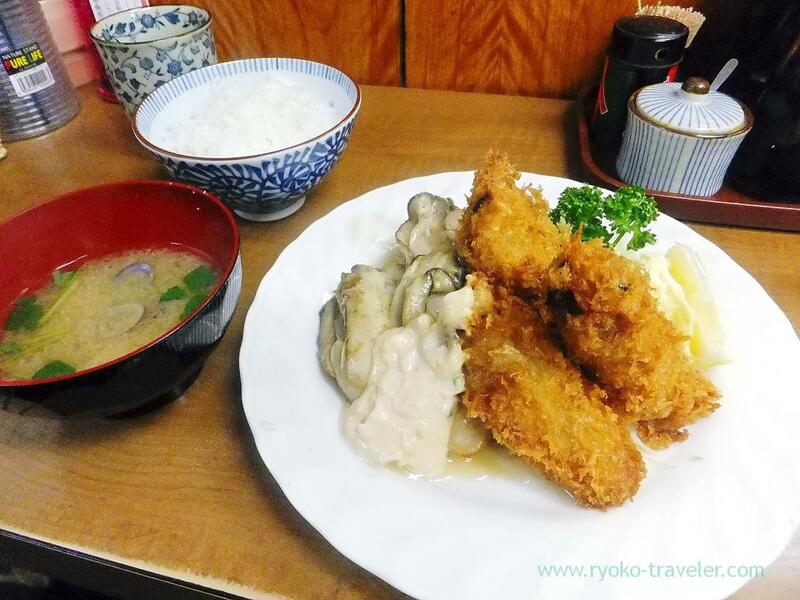 Not just deep fried foods, but also Odayasu serve grilled fishes and fried foods. A large variety of foods are served at Odayasu. Just seeing the menu is fun ! While I was seeing names of many foods on the wall, my breakfast came. The price has risen from 1600 yen to 1640 yen compared with last year. 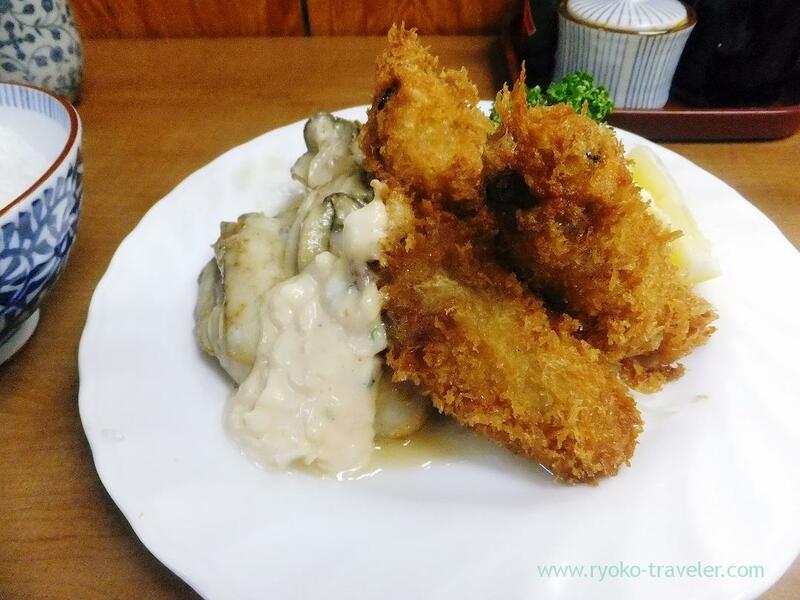 Deep fried oysters and fried oysters with butter set. This price came down a little. Ah, the number of deep fried oysters is decrease. Well, I don’t know for certain. Probably, it’s because those oysters were too big. But anyway, Three deep fried oysters and three fried oysters with butter on the plate. You can clearly understand by this picture. Hugest oysters than ever !